Today calls for a celebration! We officially found our new apartment in Chicago, Connor is graduating from medical school this Sunday, and we’re leaving for our long-awaited honeymoon in Africa on Monday morning. Oh, and then like 5 days after we get back, we’ll be packing up a U-Haul and driving the very long (very boring, I might add) 700 miles to the mid-west! 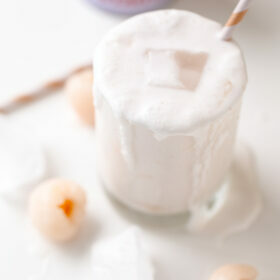 I need a cocktail just thinking about it all…and that is exactly why I’m sharing these coconut-lychee coladas with you today. Ok, so let’s discuss lychees. After testing these cocktails a few times, I’ve officially decided that lychees are quite possibly one of the weirdest looking fruits out there. I couldn’t decide whether I even wanted to photograph them in their whole form, because, well, they’re not very photogenic. They’re actually pretty neat looking when they are fresh and in their pink-red prickly rind, BUT let’s face it, fresh lychees are not practical for everyday cocktail recipes. Plus, I have a feeling fresh lychees are near impossible to find for about 99% of us, so….that wasn’t happening. Lychees are, however, very tasty. They are sweet and a bit floral, and they pair extremely well with coconut. This cocktail was inspired by one of the signature cocktails served at our wedding. Our wedding cocktail was very, very different, but did have two similar features: it combined coconut water and a housemade lychee-lemonade. 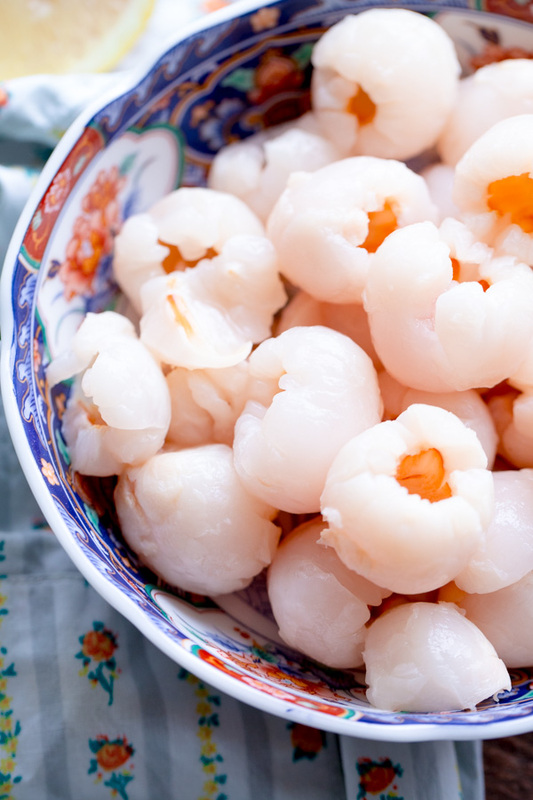 As I said, not at all similar–but it definitely inspired today’s coconut-lychee pairing! This cocktail is incredibly easy to make! 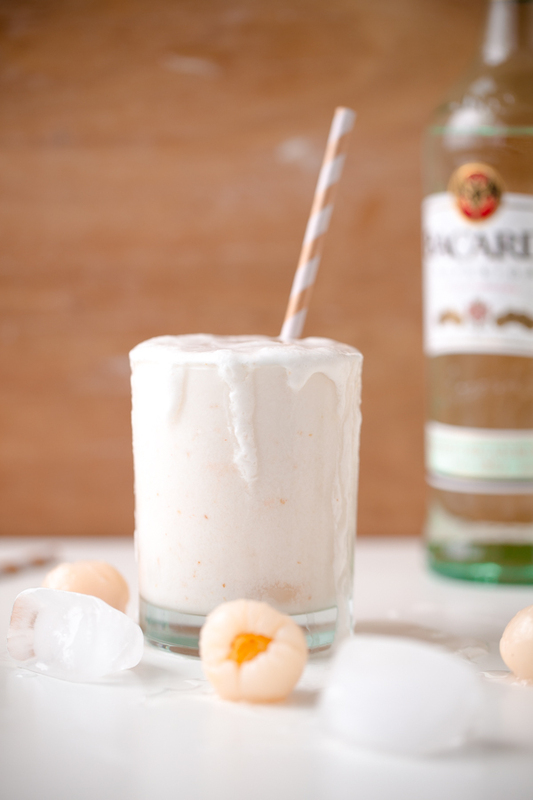 Just drain canned lychees and place them in a blender with full-fat coconut milk, ice cubes, coconut water, and Bacardi rum! 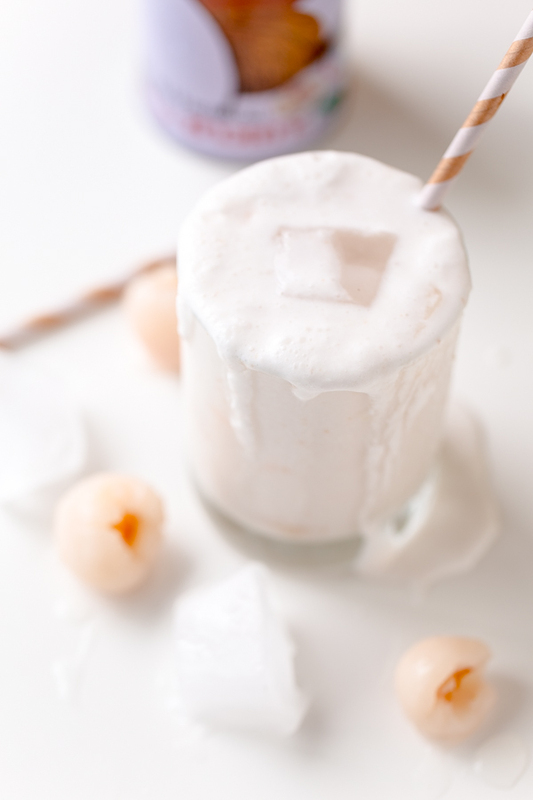 Combine the drained and peeled lychees, 1 tablespoon of the reserved heavy syrup, coconut milk, coconut water, rum, and ice cubes in a blender. Puree until very smooth. Pour over crushed ice or additional ice cubes, and garnish with lime wedges. Serve immediately. This drink can actually be made a few hours in advance and kept in a container in the fridge. Shake well before serving (however, it will not have that frozen texture).